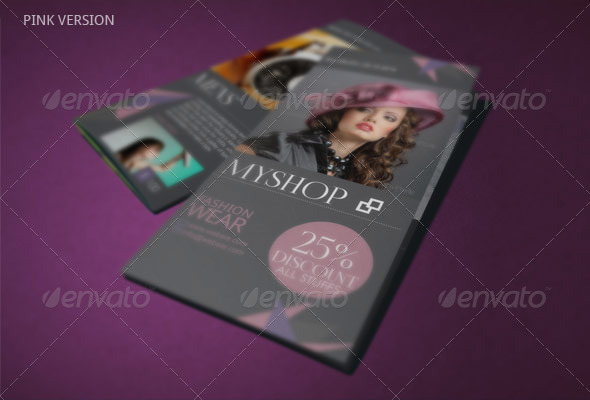 Spring Fashion Brochure Spring Fashion Brochure, which is a tri fold brochure can be used for your shops. 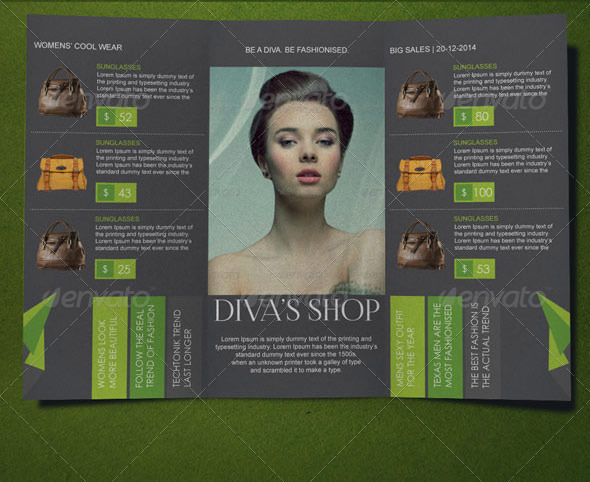 The template can be used to announce sales or event discounts. 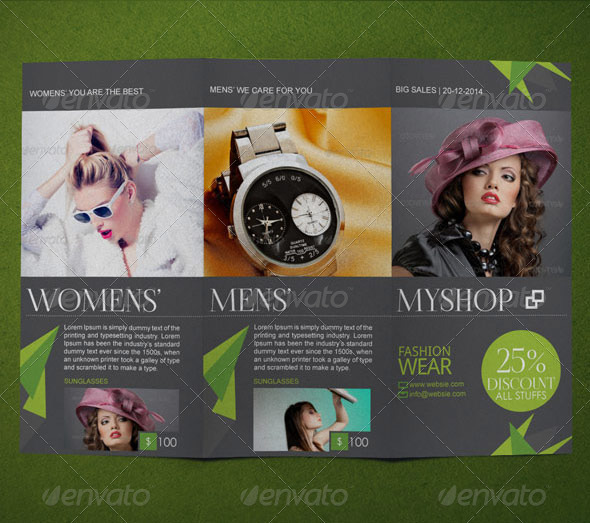 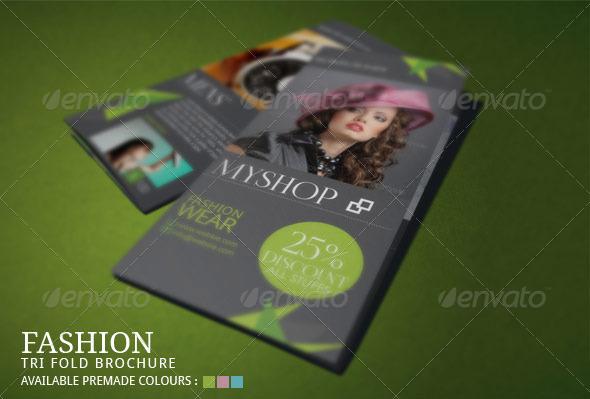 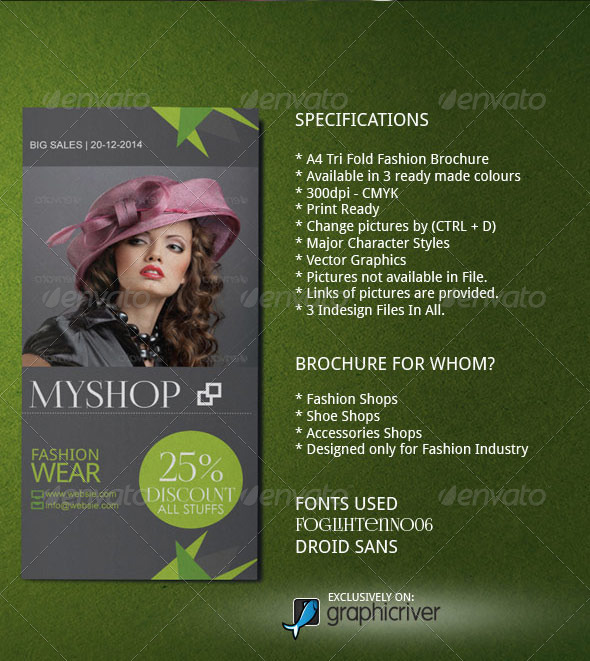 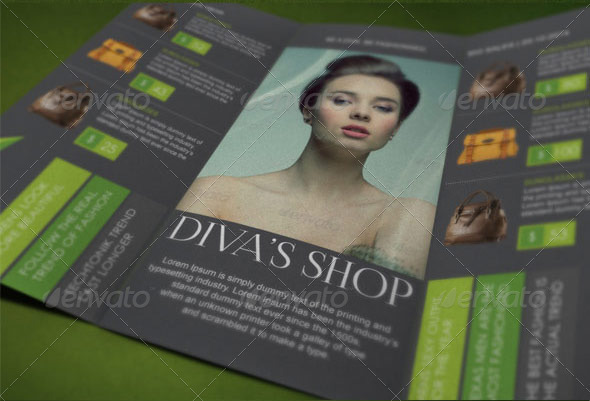 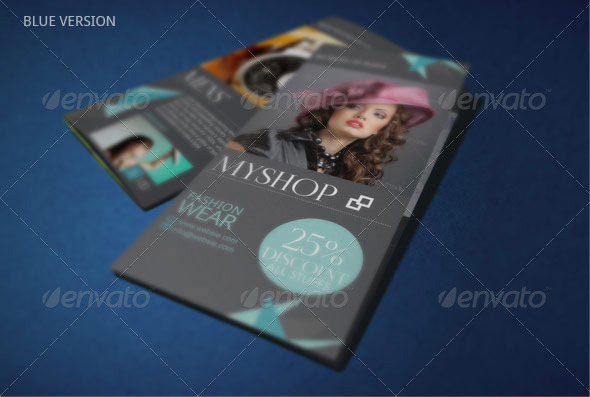 This Tri Fold is designed specially for the fashion industry. 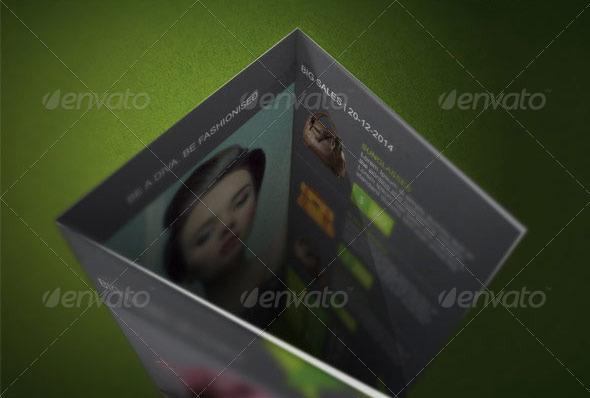 Not available in file when download, but LINKS are provided where to get them.